Home Uncategories The Voice of the Turtle, Episode 53: Is this thing still on? The Voice of the Turtle, Episode 53: Is this thing still on? It may not be that chilly outside, but this has been one frosty winter for the Detroit Tigers. Spring is just around the corner, though, and you know what that means! Yes, your favorite podcast hosts are back with another episode of The Voice of the Turtle! 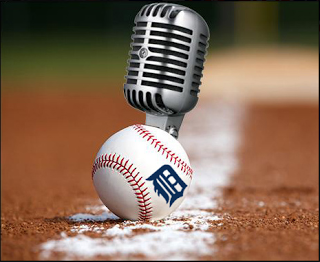 Rob and Hookslide shake off the cobwebs this week, and discuss the winter that was in Tigers baseball. In particular, they break down the Mikie Mahtook trade. Was it a good move for the Tigers? What happens now with Anthony Gose? Is center field still a major problem? Spring training is almost here, and that means position battles! Your fearless co-hosts look at the major decisions that will happen down in Lakeland, including the fifth starter spot and the last couple bench spots. They also look at the rest of the AL Central to see where the Tigers stack up heading into 2017. Oh, and of course, a heaping batch of listener questions! - What are podcasts? How do they work? - How far ahead are the Cleveland Indians? 2:54 - Rounding the Bases: what's going on in CF?